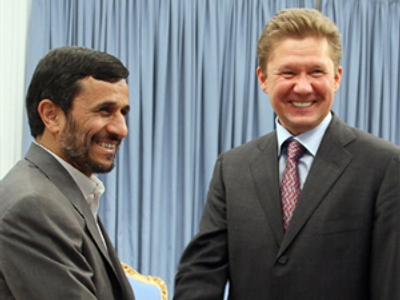 Gazprom and the National Iranian Oil Company have reached an agreement to set up a joint venture for oil and gas projects in Iran, Russia and third countries. The agreement was made during Aleksey Miller's visit to Iran. The Iranian side also asked for long-term Russian gas imports into northern Iran. Iran holds second place in the world for its volume of proven gas reserves.